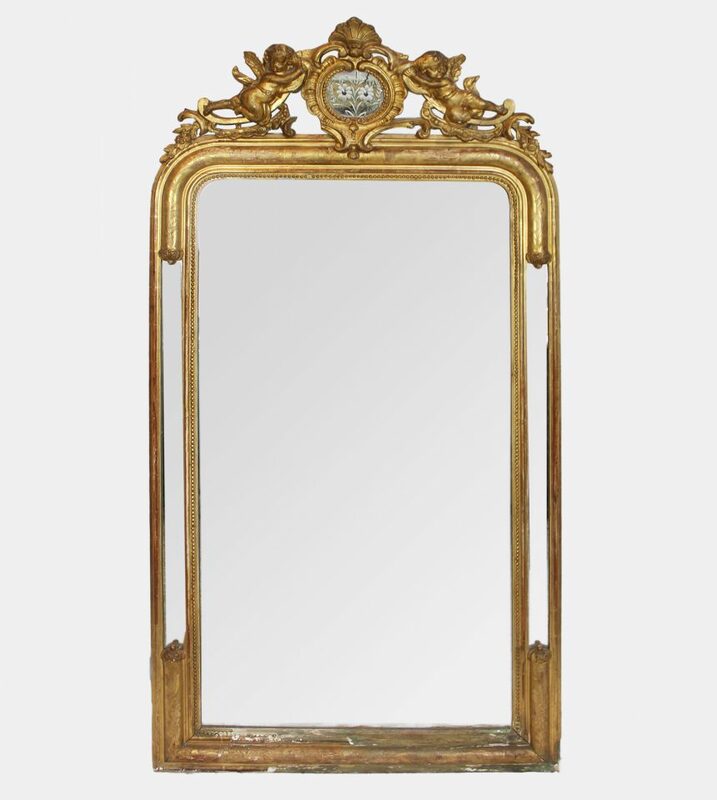 Beautiful large French antique gilt wood Louis Philippe mirror. 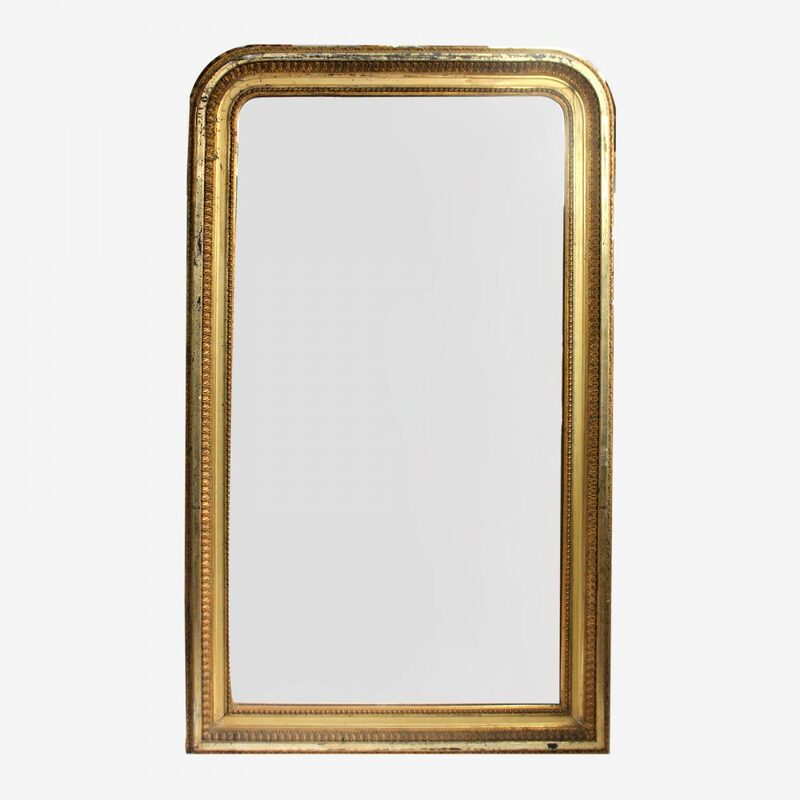 Solid wood frame, with original gold finish. 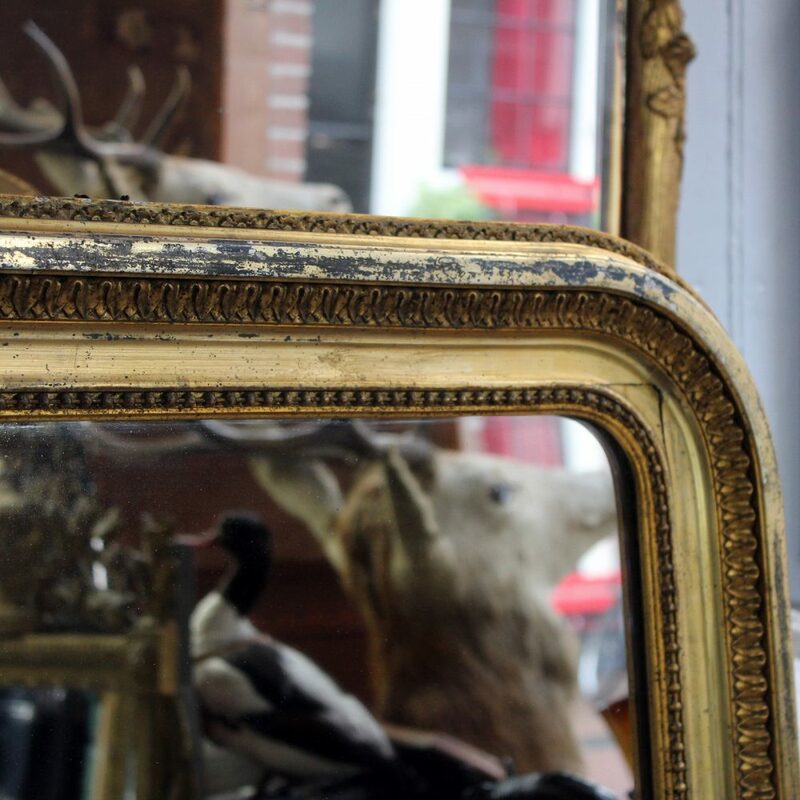 Has rounded edges on top, with geometrical design all around the middle of the front moulding. 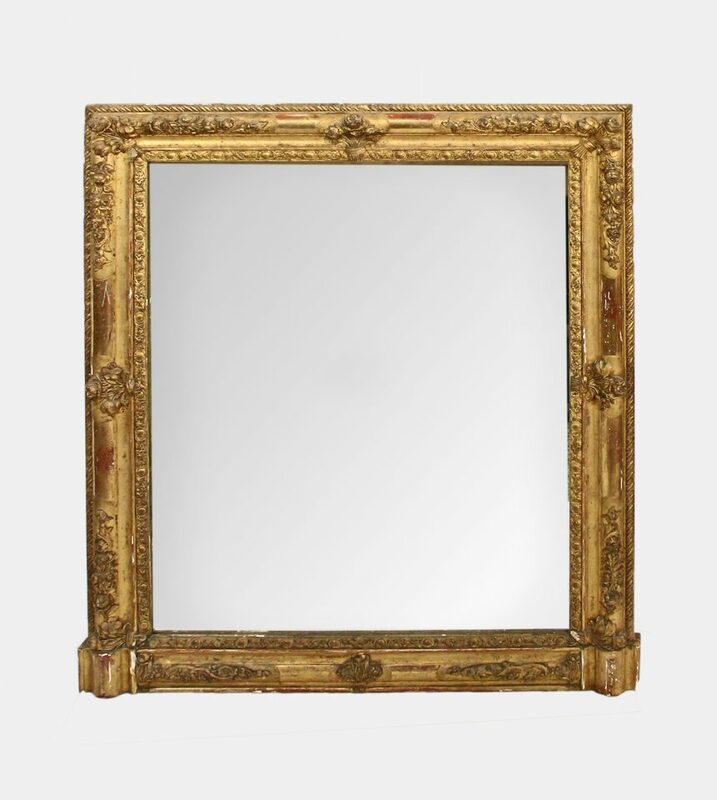 The mirror is original showing wear from age. H 140 cm. 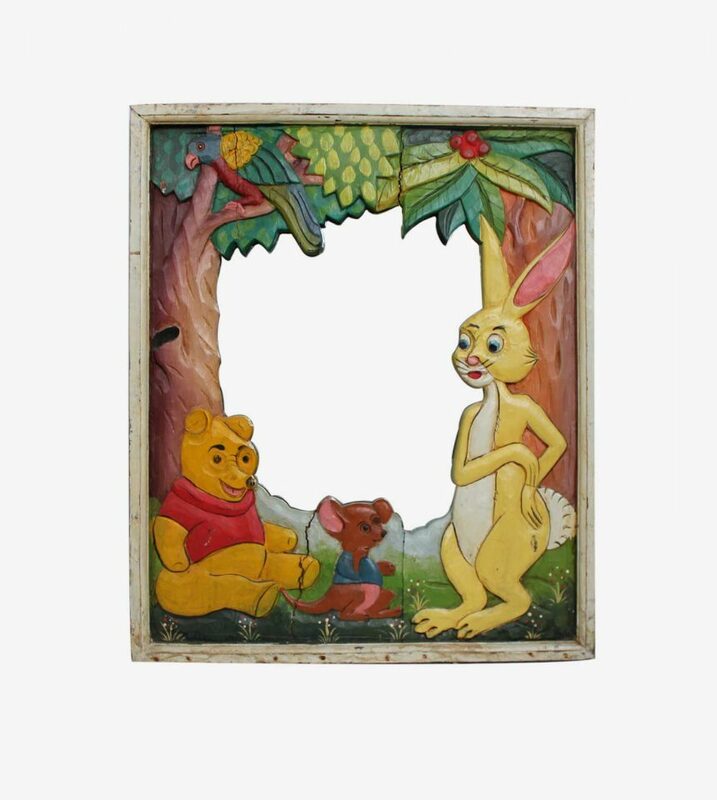 W 84 cm.